Rasik Polyflexil Pvt. Ltd. Is a flexible packaging films Division of Rasik Group which is servicing the Indian packaging industry from last 25 years. Packaging presents the first impression and constitutes a virtual show-window of the product. Besides carrying a fact-file on the product, it is also the first glance at the colors and quality of the wrapper that determines the appeal of the product. The best flexible packaging films is highly competitive, and the pack with the finest wrapping and the most compelling graphics takes the cake. With determination to uphold the highest standards in packaging, the technical team at Rasik Polyflexil Pvt. Ltd. have steered the Company to become the virtual leaders in the field of quality international packaging. 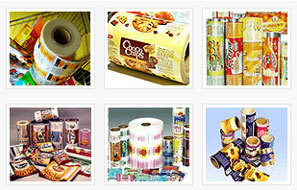 With 25 years of experience in flexible packaging Industry, Rasik Polyflexil Pvt. Ltd. manufactures packaging products such as laminated pouches, flexible packaging films, flexible packaging plastic, flexible plastic material, flexible film packaging, flexible packaging plastic, flexible packaging materials, packaging bag, jumbo bag, and printed rolls. These flexible packaging materials are manufactured using state-of-the-art technology which includes modern machines and process facilities. We also offer packaging products with highest level of quality which has established our company as a leader in domestic and international packaging industry.